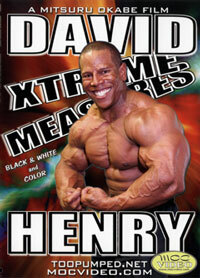 2 DVD set includes BONUS Pump Room disc. 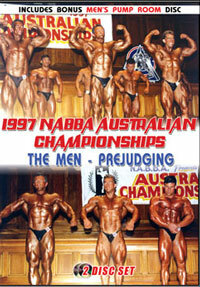 Shot in the Melbourne Town Hall on May 25th, 1997, this DVD includes Pump Room footage of some of the best bodies in Australia in the late 90s. The event turned out to be a titanic struggle between former Mr. Australia and Masters Mr. Universe GRAEME LANCEFIELD of Victoria, and newcomers GRANT MAYO from New South Wales, and BILL BRYSON from South Australia. Graeme had the 20" arms and huge upper body, Bill was shredded, but Grant Mayo produced the best overall package on the day. In the Tall Class, Mr. 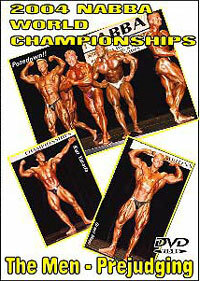 Posing Perfection MARK TREWARTHA was in his all time best condition to win his first Open Class Australian title. 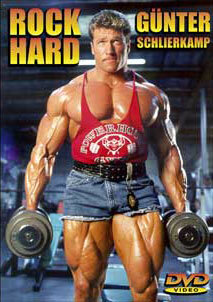 He is a former Teenage Mr. Australia winner. 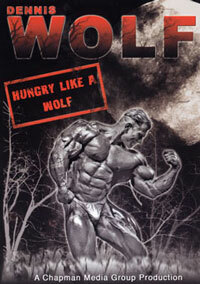 This DVD includes the complete men’s prejudging from Round 1 to the Posing in Round 2 to the Comparisons in Round 3. This was a qualifier for the World Championships in Greece. 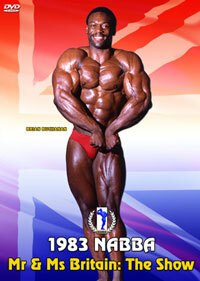 Please click here for the 1997 NABBA WORLDS: MEN - THE SHOW, PCB-281DVD. Classes include: Teens, Juniors, Novice and Masters classes as well as the awesome four Men's Open Classes.